Now this isn’t just an act of scientific hubris. This new man-made strain of yeast will be incredibly useful to scientists in lots of different ways. 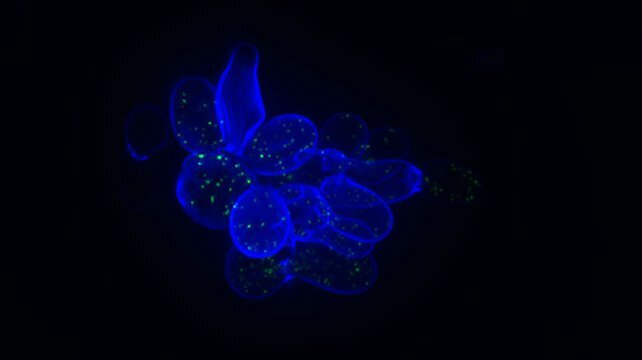 Researchers will be able to quickly add new sets of genes or even new artificial chromosomes (above and beyond yeast’s current 16) to more easily get the yeast to make medicines, biofuels or whatever we want. Given all the incredible things we have already managed to do with natural yeast (the anti-malarial drug artemisinin is just one example), this can only be a good thing. The way the new chromosomes have been redesigned also frees up one of the words of the genetic code to do with as we will. This may be an important way to increase production of yeast-based products by preventing the yeast from being infected by viruses. It will also allow scientists to go beyond the current repertoire of protein building tools so they can easily create useful biological molecules never before seen in nature. We will have incrementally changed the fundamental genetic code of life in a eukaryote (it has already been done in bacteria). The yeast have also been designed to more easily gain the traits we want in a more evolutionary way. The scientists have added a number of specific DNA changes that under the right circumstances will encourage the yeast to scramble its DNA more rapidly than it ever would in nature. This accelerated evolution means it will get to where we need it to go more quickly. Given all of these changes, it is a bit surprising that yeast pretty much didn’t behave any differently with this synthetic chromosome. The researchers decreased the size of the chromosome from 316,667 base pairs to 272,871 base pairs, removed DNA damage hotspots including a whole class of genes and made thousands of small changes throughout the chromosome. Yeast is apparently amazingly resilient. So even without anything else, this is a big deal. Assuming yeast can survive a whole slew of similar changes spread out over its whole set of DNA, a useful workhorse of science and industry will have suddenly been made even better. Of course, there is more to all of this than making a better yeast. This is an experiment that shows that we can replace natural chromosomes with artificial ones in a fellow eukaryote (i.e. everything except bacteria and archae). This may have far reaching impacts for us and for plants and animals. Back in 2010, the Venter lab announced they had synthesized the entire set of DNA (with some changes) from the bacterium Mycoplasma mycoides in the lab. Even more remarkably, they transplanted this artificial genome into a different species of bacteria, Mycoplasma capricolum, and this bacterium was transformed into Mycoplasma mycoides. They had now essentially created life in the lab. What the researchers in this study did in yeast was very different. First off, they actually changed less DNA overall. While Venter’s group made a 1.08 million base pair piece of DNA and transplanted it into a bacterium cell, the yeast folks only changed around 275,000 base pairs. This is still a lot but less than was done for bacteria. The yeast researchers also replaced the natural chromosome in a different way. 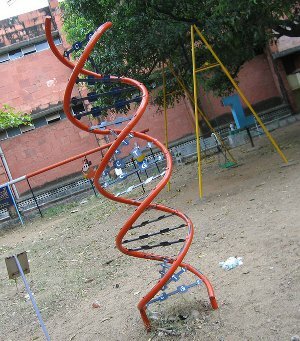 Instead of making the whole thing all at once, they changed the chromosome one bit at a time. They had undergraduate students make 2,000-4,000 base pair mini-chunks of DNA that were then added at an average of twelve at a time to yeast. The researchers then let the yeast change its chromosome one section at a time. After eleven rounds, this piecemeal approach had changed the entire chromosome. This different approach is simpler and more applicable to higher order beasts like plants, animals and of course fungus. It gets around the problem of having to get huge pieces of DNA into a cell and have them end up properly packaged. The cell does it for us! Yeast is very good at using homologous recombination to swap the DNA we give it for its own DNA. Luckily in the last few years, a new technique called CRISPR has come online that makes higher order beasts as good as yeast at DNA swaps. Everything is now in place to do something similar in plants and animals. If only the silly things didn’t have so much DNA! 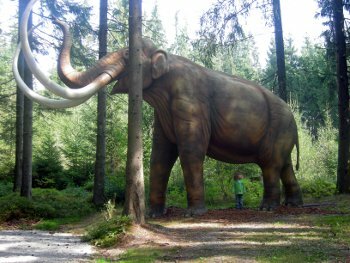 Last year there was a lot of hullabaloo about bringing back extinct species like the passenger pigeon or even a wooly mammoth (sorry, no dinosaurs yet). The way that researchers replaced a natural chromosome with an artificial chromosome in yeast shows us one way we might change an elephant into a mammoth or a regular pigeon into a passenger pigeon. First, scientists would need a complete readout of the extinct animal’s DNA. As DNA sequencing has improved, this is definitely possible especially if we can get samples as fresh as the latest mammoth find. The next step would be to synthesize the DNA and then replace a living relative’s chromosomes one piece at a time in some sort of stem cell. Once it has all been replaced, the stem cell would be converted to an embryonic stem cell that is equivalent to a fertilized egg and put into the living relative. If everything goes as planned, the extinct species will be reborn. Easy on paper, hard in the lab. The yeast researchers managed to switch out a ~300,000 base pair chromosome. To give some idea of scale, the smallest human chromosome is chromosome 21 at 48 million base pairs. And that is just one chromosome. Humans have over 3 billion base pairs total compared to yeast’s 12.6 million. We are talking orders of magnitude difference here! Also, yeast is pretty easy to work with. Unlike us (or elephants or birds), they happily exist in a haploid form where they have just one copy of each chromosome instead of two. It is much easier to get the changes on one chromosome in a single cell as opposed to two. Scientists would also need to make a male and a female version and mate them or many males and females to get the needed genetic variety to survive. Add that the stem cells would have to stay in a petri dish for an awfully long time as scientists change one bit of chromosome at a time, and you can see that we aren’t there yet! Still, this is real progress. And if we ever want to resurrect an extinct yeast cell, we can pull it off today!